A big thank you to all of my pattern testers and their pictures! Below, pattern tester Nancy Barrett, thank you Nancy. 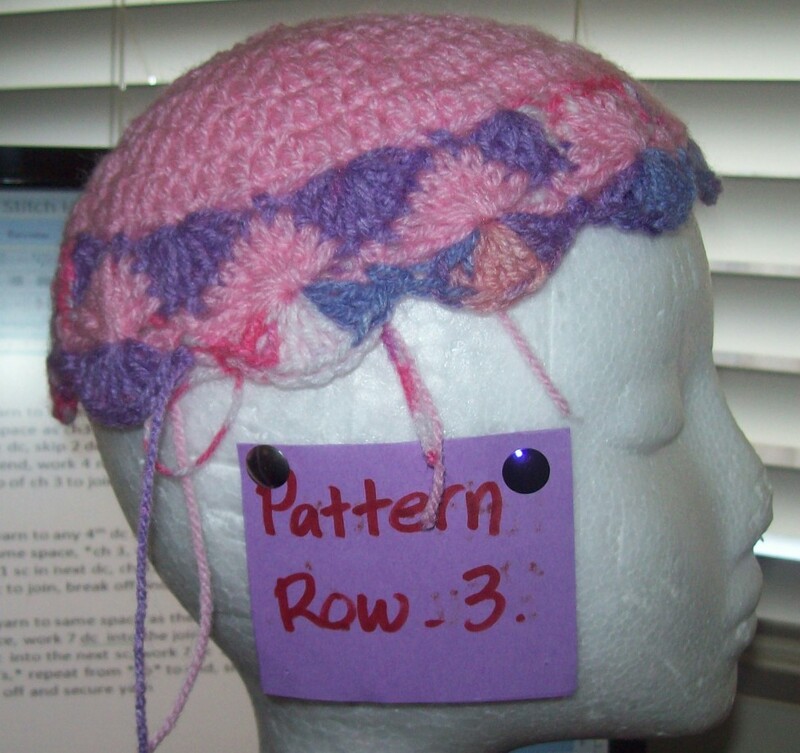 Below, pattern tester Cassandra, thank you Cassandra. Below, pattern tester Shaunna Hallsson, thank you Shaunna. 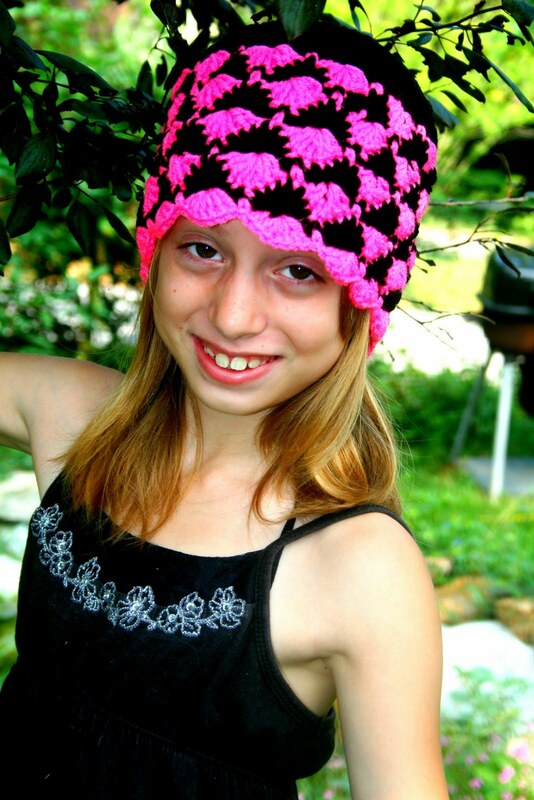 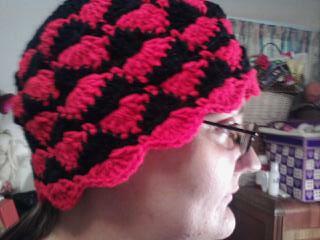 Below, pattern tester Tinka Mushett, thank you Tinka. Below, pattern tester Joan Donaldson, thank you Joan. Below, pattern tester Selene Leonard, thank you Selene. 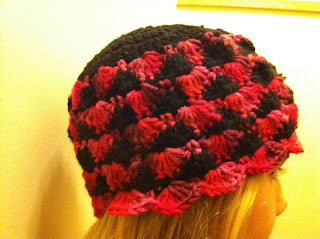 Below, pattern tester Tasha Rogers Murphy, thank you Tasha. 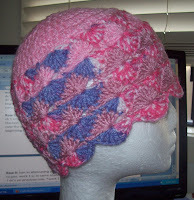 Below, pattern tester Phyliss Wendt Edwards, thank you Phyliss. 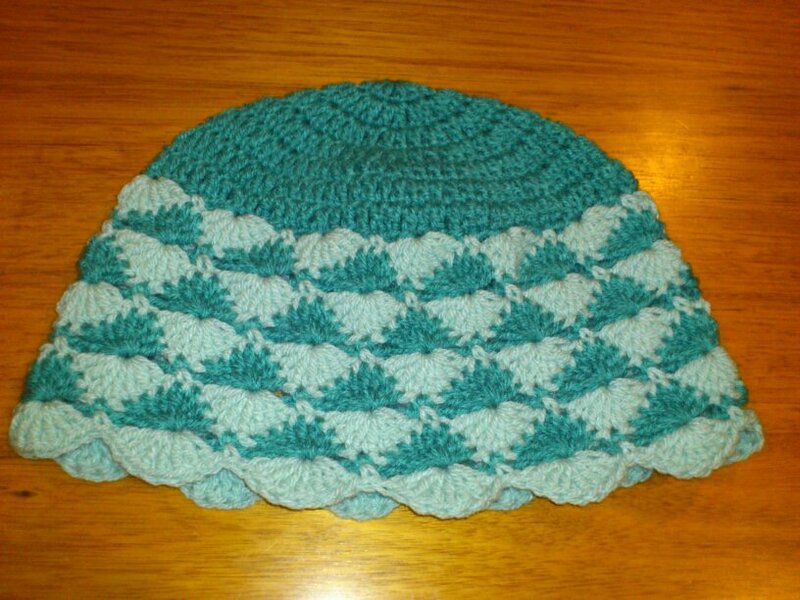 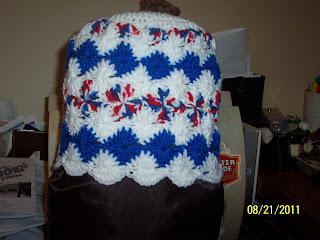 Special notes: You will need the basic dc crown pattern to begin making your hat, which is in written form and a video tutorial, located at this link. 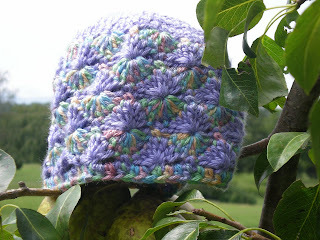 To make the small size hat, you will need the small 60 dc crown. 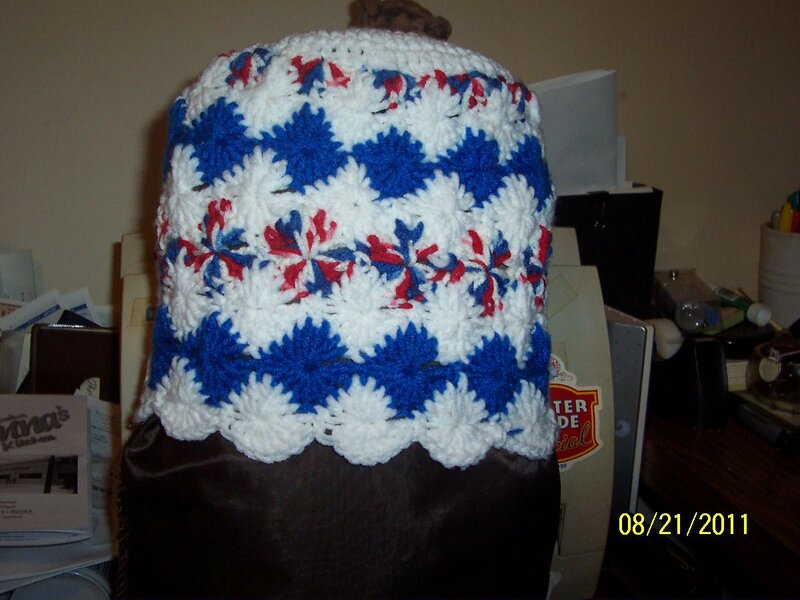 To make the larger hat size, you will need the large 72 dc crown. Special st’s: 7 unfinished dc’s over the next 7 dc= yo hook insert hook in next dc, pull up a loop, yarn over pull through 2 loops, (2 loops on hook), yo hook insert hook in next dc, pull up a loop, yarn over pull through 2 loops, (3 loops on hook), yo hook insert hook in next dc, pull up a loop, yarn over pull through 2 loops, (4 loops on hook), yo hook insert hook in next sc, pull up a loop, yarn over pull through 2 loops, (5 loops on hook), yo hook insert hook in next dc, pull up a loop, yarn over pull through 2 loops, (6 loops on hook), yo hook insert hook in next dc, pull up a loop, yarn over pull through 2 loops, (7 loops on hook), yo hook insert hook in next dc, pull up a loop, yarn over pull through 2 loops, (8 loops on hook), yarn over and draw through all 8 loops on hook. 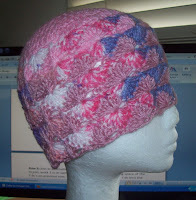 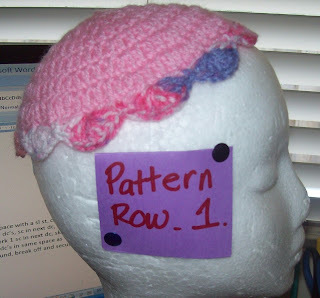 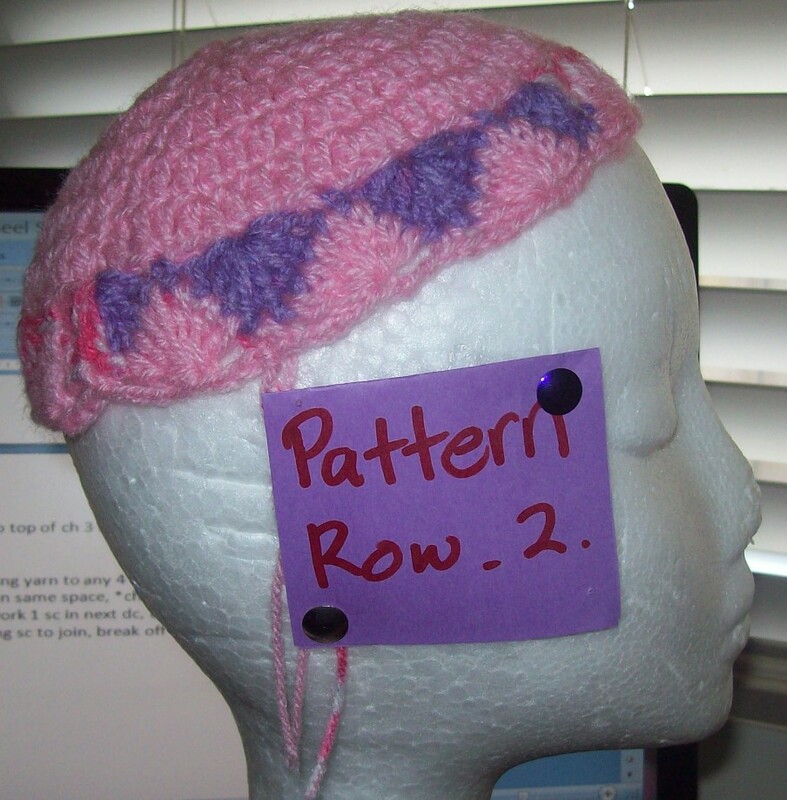 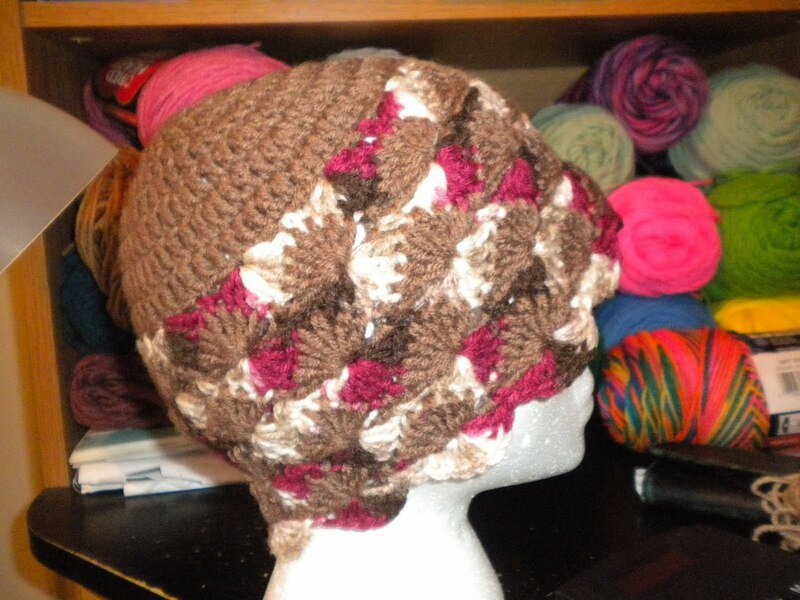 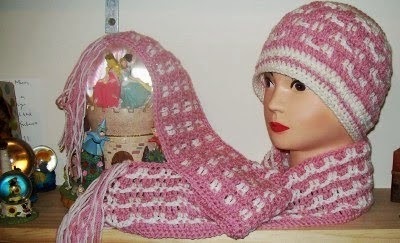 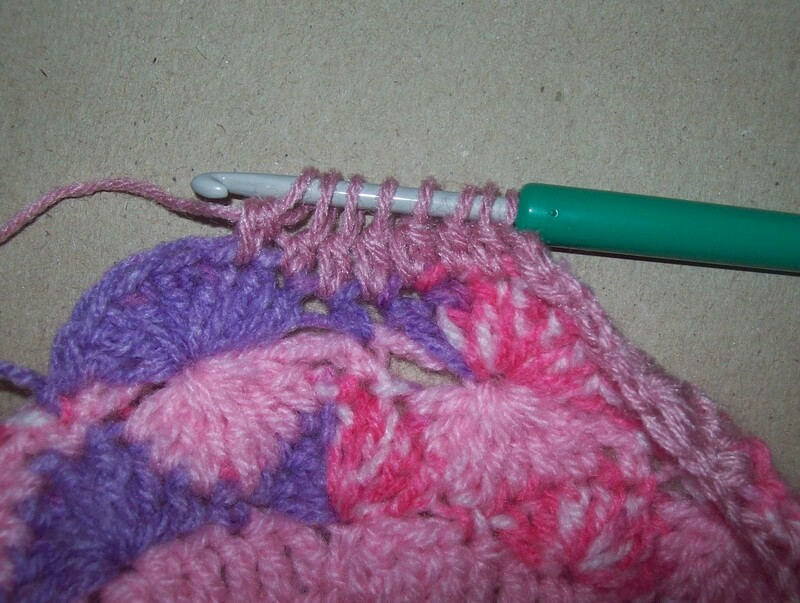 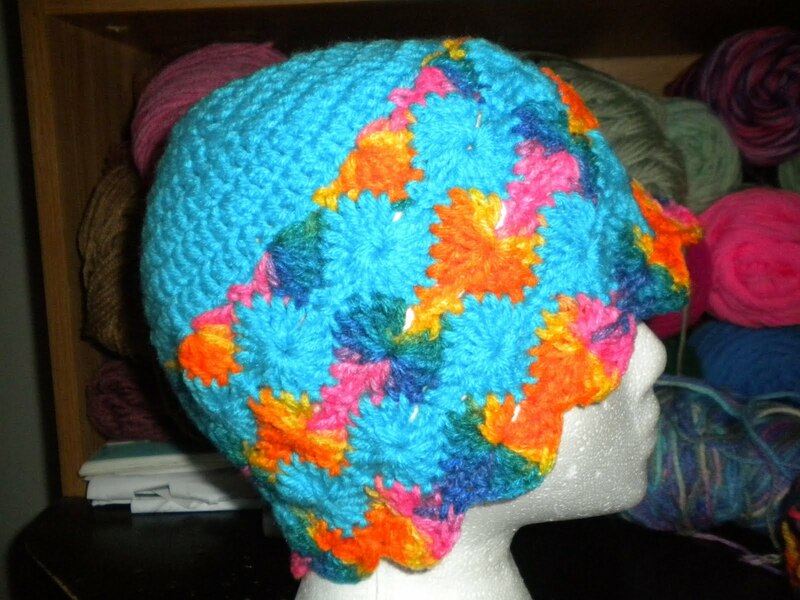 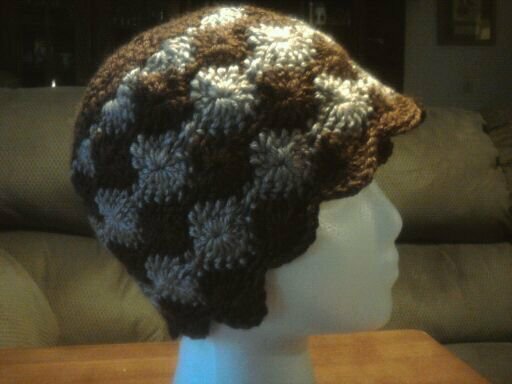 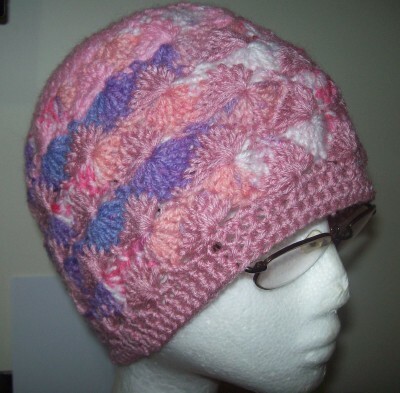 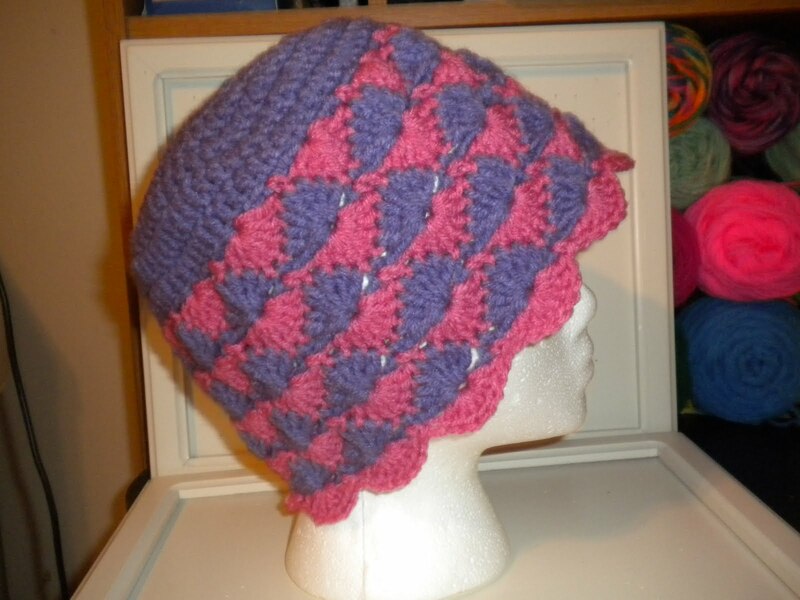 Continue working in pattern until hat height reaches approx 9 inches, finishing pattern on a row 2. 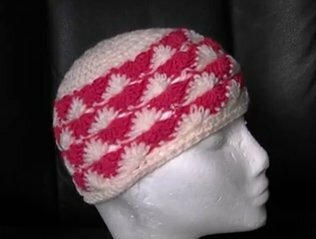 Clare Sullivan, video tutorial, thank you Clare.